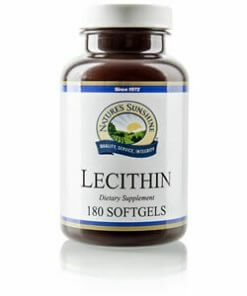 Nature’s Sunshine Lecithin protects the nervous system and supports the structure of cell membranes. Lecithin, which contains phospholipids or fat-like substances, is an essential building block for cellular membranes. It also works to stop cellular oxidation and protect nerve tissue in the brain. It functions as a fat emulsifier and is essential in digestive and circulatory health.